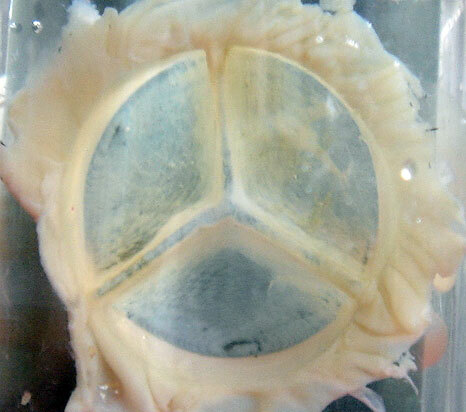 Currently, the majority of artificial heart valves is produced from animal pericardial tissue.1 This is done by cutting leaflets from the pericardium sac and sewing them into the desired shape. 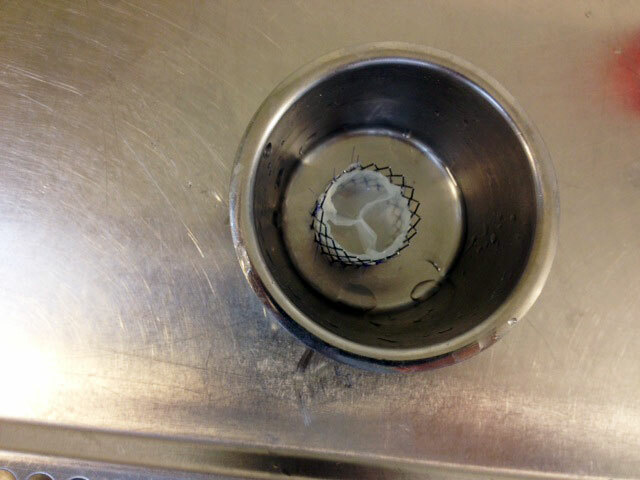 The heart valve is then sterilized and prepared for implantation. 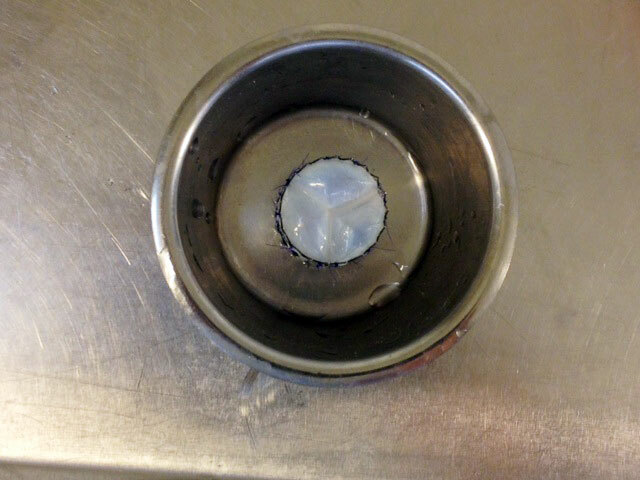 In this step of the process, toxic chemicals are applied to the valve. Despite the complex process, the tissue is prone to calcification and the foreign material can trigger immune reactions in the human body.2 Due to this fact a majority of valves needs to be replaced several years after implantation. The risk for the patient rises with every additional surgery. Therefore, research aims at increasing the human body’s acceptance. The aim of the pericardial heart valve project is to optimize the production of artificial heart valves from animal pericardium. The results of this research can consequently also be applied to other types of artificial heart valves. The focus lies on the general production concepts, the employed chemicals and the resulting valve shape. The testing of novel production concepts extends to technologies that have so far not been used in medical engineering. In addition to that, we are working on the optimization of process parameters to reduce the use of toxic chemicals and increase the acceptance of the human organism. The heart valves are compared in several test benches to determine the optimal shape and the most suitable production parameters. An integral element is also the determination of long-term durability. The projects goal is a pericardial heart valve that is resistant to calcification, is accepted by the human immune system and assumes a function equally effective to the native heart valve. 1 I. Vesely, “Heart valve tissue engineering“.Cirk. Res. vol.97, pp.743-755, 2005.